Well begun is half done; and as regards the eLearning experience, motivation is not only a very good start, but also a particularly critical key in the effectiveness of your eLearning course. 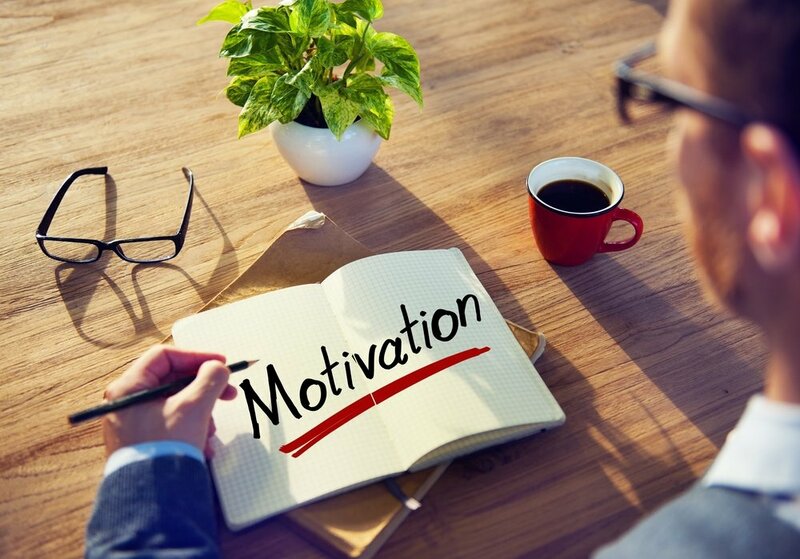 In this article I will share 5 tips to enhance motivation in eLearning, so that you will be able to inspire your learners to eagerly experience your eLearning deliverable. What is motivation? No, this is not a philosophical question; being eLearning professionals, it is essential tο deeply understand key concepts, such as “motivation”, “engagement”, “interaction” etc, that we encounter several times every day, while trying to figure out which is the best way to create the perfect eLearning experience for our audience. Motivation, simply put, is the reason one has for doing something. Consequently, learning motivation is the reason, or the desire, for learning. And in our case, in the eLearning universe that is, learning motivation is the reason learners need in order to fully experience our eLearning courses. As you have probably already guessed, we, as eLearning professionals, are responsible for creating that reason. If the reason we create is not good enough, our learners simply will not have any interest in participating in our eLearning courses. Or, even worse, they may participate half-heartedly. Scary, isn' it? But fear not. In this article I will highlight 5 ways that are inspired by the ARCS model and have the power to help you enhance learning motivation or, in other words, increase your leaners' desire to access your eLearning course. Carefully chosen images add visual interest to your eLearning course. For your images to have impact they must be not only aesthetically appealing, but also relevant; which means that they must represent the key elements of your eLearning content. Have in mind to offer variety in order to avoid monotony and never underestimate the power of good graphic design and layout. Interactivity is a powerful tool, but it can increase motivation only when it is used correctly. Just because your learners are required to use drag and drop interactions in order to finish a chapter doesn’t necessarily mean that they will want to. To enhance motivation in eLearning you need to create an interactive environment that engages your audience by offering them the opportunity to explore. This way, you will boost your learners’ curiosity and, then, their attention is yours to use. Games can be used not only as a great way to make learners interested in your eLearning content, but also as an attention refreshment after a text heavy or a lengthy module. Have this in mind when you need to present large amounts of information. A carefully designed game in which learners are required to use the information they just received could be an invaluable learning aid and very effective as a motivation tool. Videos, podcasts, animations: all of them have the ability to encourage learners to explore, that is to learn more. If you don’t have the budget or the time to create a high quality video, since video production can be quite expensive and time consuming, consider using animations combined with well written voice over audio narrations. Sometimes the combination of a natural script and an attractive, friendly voice is irreplaceable in the conveying complex information process. Humor is one of the most effective ways to capture attention. Of course, you need to be sure that you use this powerful tool with caution. There are some aspects that may be funny for some and not funny at all for others, and you don’t want to insult or alienate any member of your audience. However, in the right hands, that is if used respectfully and in careful doses, humor can be a very clever weapon, capable of completely disarming, in a positive way, your learners. Stimulate your learners’ curiosity by asking them interesting questions; they will be more motivated to learn if they are curious about how what they are learning will affect their personal or professional lives. Consider creating problems for them to solve or asking their opinion on the topics they are about to explore. This last one has an extra advantage: it will provide you with valuable feedback for your eLearning course, something you need at all times. It's a fact that your learners will want to learn your eLearning content only if they can relate to it. A learner-centered approach will enhance learning motivation by making your learners feel that the information they are receiving is not something “they just must” retain, but meaningful material that can be applied directly to their lives. If they feel that they are able to tie what they are learning to their personal or professional experiences, they will simply want to know more. Speaking of feelings, never underestimate the power of emotion. Emotions play a very significant role in learning motivation, as anything that successfully appeals to our emotions becomes automatically more interesting and engaging. To unleash the power of emotions consider an emotionally-driven learning approach, which is particularly motivating, as it makes learners feel more connected. One of the best practices of emotional driven learning is storytelling and the use of scenarios. Make sure that the characters in your stories are relevant to your audience, that your scenarios offer real world benefits and that you create scenario questions that increase your learners’ sense of engagement. The association of motivation in eLearning with confidence boost makes perfect sense: if learners don’t feel they're capable of achieving a certain goal, they will show no interest in it. It is essential for your learners to feel confident in your eLearning course in order to motivate themselves to learn. The key is to create positive expectations of success. There are several ways to do this, and one of them is being clear and specific. You need to present your eLearning objectives upfront, as well as a clear structure of the eLearning course and clear indications of how long it will take your learners to complete it. Why? Because if your learners know exactly what to expect and where they’re heading, they will feel more comfortable and motivated to follow this direction. If your learners feel satisfied within your eLearning course, they will want to take more out of it. But how can you increase their sense of satisfaction? The most obvious way is also the most effective. Reward them, reward their efforts. Regardless of the nature of your learners’ desire for an award, whether it is a wish to compete and win or a simple need for recognition and encouragement, rewards are particularly motivational. They simply make your learners feel good, increasing their sense of satisfaction. A very simple way to integrate rewards into your eLearning course is ranking your learners’ achievements with, say, bronze, silver and gold stars, depending on the requirements of the eLearning course. This will motivate them to perform better, that is, to learn more. Last, but certainly not least, in order to enhance learning motivation consider developing a social learning strategy. Take advantage of the great role that social media can play in eLearning and encourage interaction among your learners. Learners are more motivated to learn if they don’t feel isolated and are able to receive other peers' feedback. Provide them with social collaboration tools and encourage them to share their experiences from your eLearning course. Arrange online discussions where they will be able to ask questions or share concerns and transfer possible debates to social networks. Encourage your learners to communicate, participate, and share information in order for them to deepen their understanding of your subject matter. Social learning offers a wide range of multiple perspectives and diverse knowledge, fosters powerful relationships among your audience and, ultimately, offers them an overall particularly satisfying eLearning experience. And this is a perfect reason for wanting to learn. Now that you know how to enhance motivation in eLearning, you may be interested in how you can motivate a quite challenging audience: adult learners. If you want to know more about motivating learners who have a lot in their minds, read the article 17 Tips To Motivate Adult Learners and find out how you can get rid of the things that stand in the way to motivating adults to start learning.